Our consulting company is based in St Julians, in the center of Malta, few kilometers far from La Valletta, exactly in the heart of Mediterranean Area. This location represents for us a real strategical choice to improve successful b2b relations among europen players, being in the middle of their investments programs from north to south of Europe and viceversa. Then, as small but energetic island, Malta represents nowadays one of best high value “bridge” toward north Africa’s countries and still keeps well named position as one of most important international ports in the Mediterranean. As part of big international community in Malta, our training centre and business firm always minds on offering good network of services for foreign companies in Malta or even for their branches in Malta, supporting them with a well framed professional background. business support for funding, operative step plan for start-up’s projects. In cooperation with ADMEA Italia and thanking Asian Studies Group, our group as ADM + EA Smart Links LTD provides deep consulting services for european customers with good network of offices and professionals based in Italy (Milan, Rome, Bologna, Padova) and Japan (Tokyo, Kobe) – we’re also present in China and Korea. 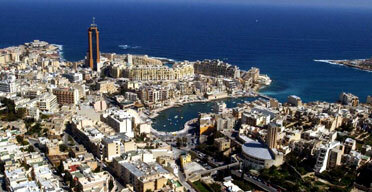 or visit us in Malta! ADM + EA Smart Links Consulting LTD, the smart way to improve your business in Asia.